Three crew members of the "Qian Chi" suffered severe burns when a heater they incorrectly assembled exploded in Brisbane’s Moreton Bay on Jan 16, 2011. An engineer, electrician and an apprentice were severely injured in the resulting fireball and emergency services initially struggled to respond because of the floods. The ATSB, which published its investigation into the accident on Oct 5, 2012, found that the heater exploded because it was assembled incorrectly. This was because the crew lacked experience with the equipment and the manufacturer supplied instructions were not clear and detailed. As a result, the nozzle leaked fuel into the furnace throughout the pre-ignition start sequence. The furnace exploded when the burner igniter started. The ATSB also found that the emergency response to aid the ship was "confused", in part because of the chaos caused by the flooding in Brisbane. Due to the widespread flooding in and around Brisbane at that time, the water police were occupied with other matters and did not answer their land line telephone. The call should have automatically forwarded to the duty officers’ mobile telephone. On this occasion, it did not. The bureau also said vessel traffic service operators were not adequately prepared for such an emergency. Changes have been made since the accident to adequately address safety concerns. 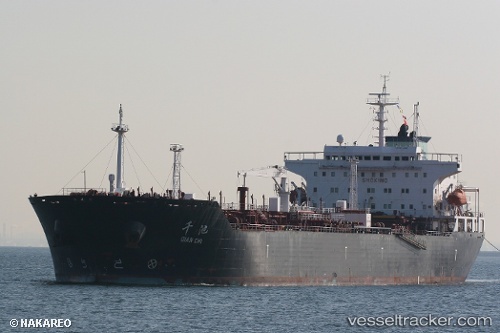 Three crewmembers of the "Qian Chi" were injured in an explosion off Brisbane on Jan 16, 2011. Fire and ambulance crews had to be rushed by helicopter to the "Qian Chi", which carried refined fuel, about 3.45 p.m. after an in a boiler in an engine room. The three crew members had to be airlifted and were flown to the Royal Brisbane Hospital, where one was reported to be in a critical condition and the other two were stable. Brisbane Port authorities said the tanker was moored and not blocking or causing problems in the bay. The ship had a secondary boiler for power if needed, but it had not been due to dock until Jan 18 and had been anchored in Moreton Bay.